A mediator-arbitrator has forged a new provincewide collective agreement for more than 6,000 health-care workers in Nova Scotia after a nearly two-year contract dispute with province’s health authority and the IWK Health Centre. A mediator-arbitrator has forged a new provincewide collective agreement for more 6,000 health-care workers in Nova Scotia after a nearly two-year contract dispute with province's health authority and the IWK Health Centre. Following five days of mediation, William Kaplan issued the award on Wednesday, establishing an agreement for workers represented by a council of four Nova Scotia health-care unions — the Nova Scotia Government & General Employees Union, the Nova Scotia Nurses' Union, CUPE and Unifor. Jason MacLean, the NSGEU president, said the process would still be lingering had members not voted to strike earlier this spring. 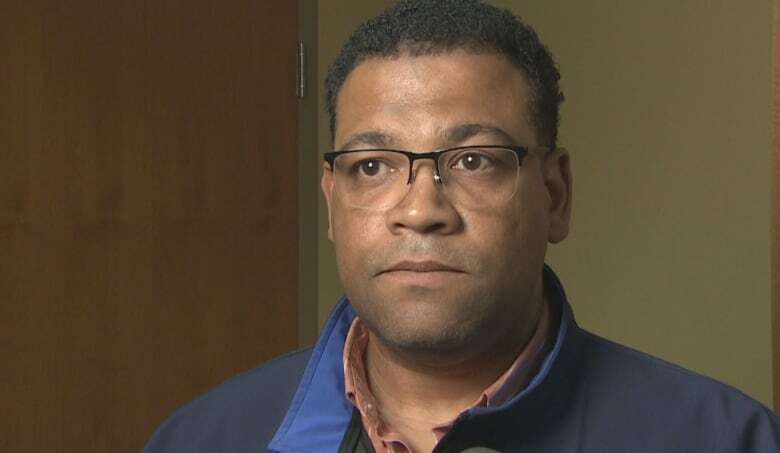 IWK staff, other than doctors and nurses, prepared an essential services agreement, saying they would keep 35 per cent of workers on the job, and voted in favour of a strike mandate in May. "I feel great for my members that they got finality to this … ordeal that they were [thrust] into by the government," said MacLean. "Ultimately they wouldn't have gotten here unless they stood up for themselves. "They sent an overwhelming message to government and to the employer that they're willing to strike and that's what got the ball rolling." The council held more than 50 negotiating sessions with employer representatives, trying to negotiate 16 collective agreements down to one each for the Nova Scotia Health Authority and the IWK. This was the first contract negotiation since the Liberal government merged the district health authorities in 2014 to create the provincial agency, while preserving the IWK as a separate entity, and took steps to reduce 50 collective agreements down to four. The workers affected by Wednesday's award include laboratory technicians, physiotherapists, occupational therapists, continuing care workers, respiratory therapists, in-hospital paramedics and social workers. Three other groups — support services, administrative professionals and nursing — will begin bargaining this fall. While there were calls to take the matter to arbitration last year, Premier Stephen McNeil had been steadfast that he would not allow an unelected official to determine what the province could afford to pay. The ground appeared to shift after the strike vote at the IWK. Late last year, MacLean said only the removal of Bill 148 — legislation which defines a wage package for public sector workers without a contact — would put negotiations back on track. Under the legislation, the government ensures an arbitrator cannot give the public employees a wage package that exceeds the offer presented to all public sector unions. 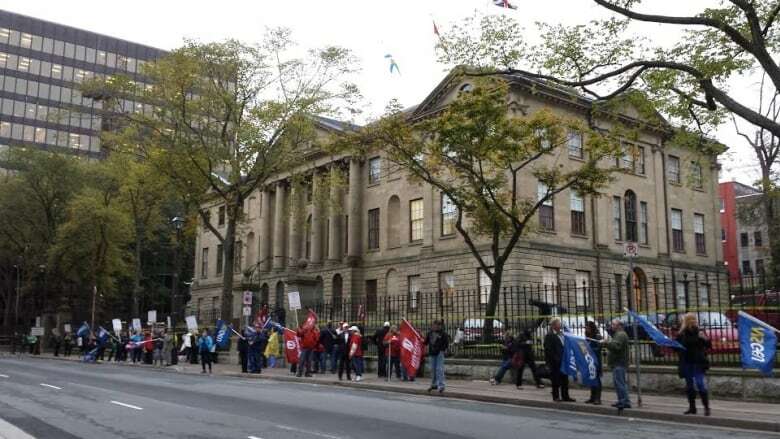 After members voted 93 per cent in favour of a provincewide strike mandate, the province proposed a binding mediation-arbitration process for matters that couldn't be resolved at the bargaining table. While Wednesday's award preserves the wage pattern the Liberal government imposed through legislation, Kaplan called for what amounts to a two per cent wage increase in each of two additional years added to the contract. While Kaplan also respected the terms of Bill 148 that ended the long-service award, he created a new benefit called the employee retention incentive, which awards a 3.5 per cent wage increase to a permanent employee who serves 25 years on the job. In a press release, NSHA and IWK said the employers believe Kaplan's decision was a fair and reasonable result for the employees and employers. MacLean said ultimately the process that was in place before Bill 148 was proclaimed prevailed. "We had a mediator-arbitrator, a third-party, that government didn't want to have," said MacLean. "But that person proved to put something forward with a collective agreement that both sides can live with. "I believe what's come out of this is something that has a number of improvements for workers. But I believe that was only inevitable from combining so many collective agreements."